How did marking a post number milestone with an industrial cleaning product device become a tradition!? I blame this post, this post and this post. My birthday post from earlier today was post 3400, so here for your reading entertainment is information on the Tennant 3400, a pretty spiffy vacuum cleaning device if I may say so myself. It is a first-class machine, made by TENNANT N.V. at their factory in Uden of The Netherlands. It is distinguished by its extraordinary high quality, extremely modern design, and long service life. You know, people sometimes say that about me. 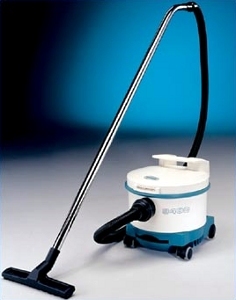 The 3400 is the quit, dry vacuum cleaner setting new standards in filtration and sound level. The 3400 is one of the most quiet vacuum cleaners in market place making it eminently suitable for use in noise-sensitive environments such as hospitals, schools hotels and offices, avoiding disruptions of working activities. With tree stage filtering system it is also the cleanest professional vacuum cleaner available, with filtration level of 99,99954%.Light and easy to transport, the 3400 is designed to give excellent handling qualities and high degree of comfort. That's a pretty high filtration level, if I may say so myself. Wait, I've said "if I may say so myself" twice now, or three times including my use of it just then. If I may say so myself. Oh do tell me more! Who says I never post useful information here? Don't answer that. Newer post ← The NSW elections were tectonic… really? !